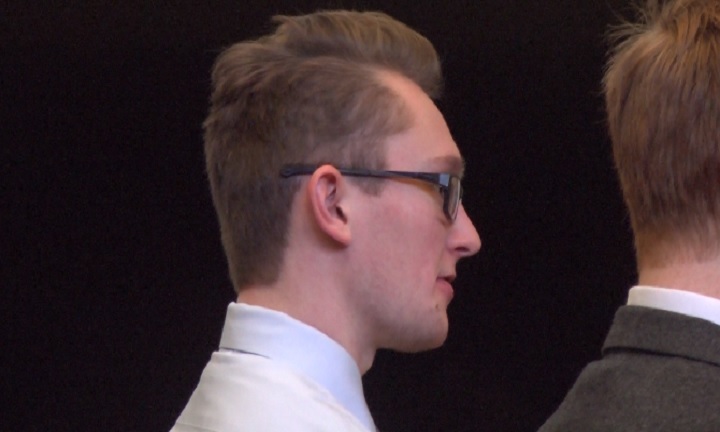 MARQUETTE — One of the three young men who were arrested on charges of property damage was sentenced Thursday in Marquette County Circuit Court. Nineteen year-old Justin Zyburt was charged with one felonious count of malicious destruction of property more than $1,000 but less than $20,000. He will complete two years of probation under the Holmes Youthful Trainee Act (HTYA). “If I didn’t feel after hearing from Mr. Weise [Marquette County Prosecutor], after hearing from your attorney, Mr. Greeley, and reading this pre-sentence investigation report, that you could be successful on HYTA, rest assured, I wouldn’t give you HYTA status,” said 12th District Court Judge Charles Goodman. Zyburt was also sentenced to 22 days in the Marquette County Jail on a misdemeanor charge of malicious destruction. He will pay restitution costs and the exact amount will be determined at a later date. Zyburt and two other males, Jay Oberg and Seth Gustafson, were originally arrested in April after shooting out car windows in Marquette and Marquette Township with a pneumatic gun. Oberg received a similar sentence back in September. Gustafson is set to be sentenced in December.